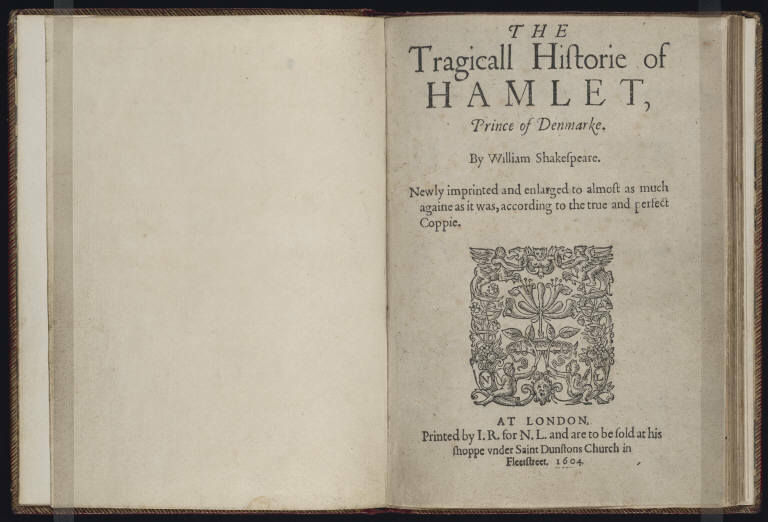 The printing and publication of the first two editions of Hamlet were overseen by a man named Nicholas Ling. 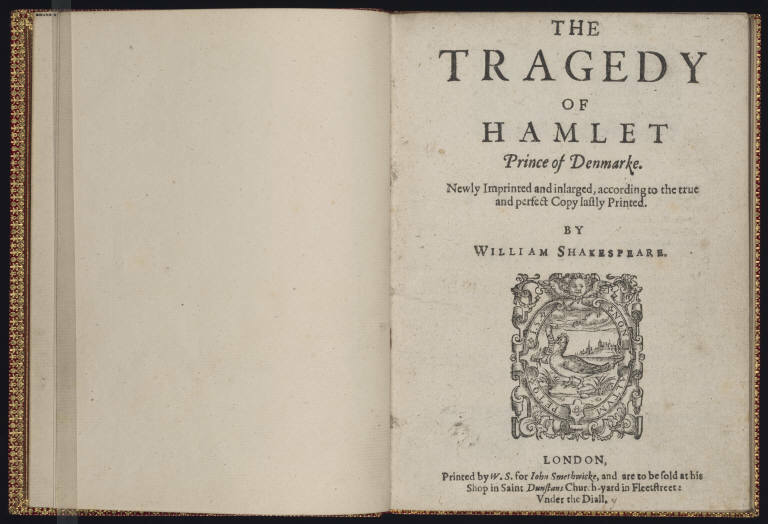 Around the time Shakespeare was writing, texts of a religious inclination tended to yield the greatest profits for printers and publishers, men whose trade always courted insolvency. Psalms, Bibles, and the Book of Common Prayer, for instance, were the guarantors to relative financial success. It was in such a vein that Nicholas Ling began his career, making ends meet by printing religious texts like Calvin’s commentary on the Bible or the sermons of John Udall, a Puritan minister. But he soon moved to more literary publications. The Heroical Epistles of Michael Drayton, an accomplished poet of the time, is one case in point; the printing of Hamlet is another. In 1607, though, John Smethwick attained the rights to publish the play, and he released the third quarto edition of the play four years later, in 1611, a fourth around 1621, and a fifth, pictured above, in 1637. Generally, the Smithwick versions differ far less from its predecessor than the second quarto does from the first; Ling, perhaps, had set a good precedent, or Smithwick was in need of quick cash, and did not want to spend the time and energy to tamper with it. Woodcuts like these were not cheap, and so printers could be depended upon, in the name of thrift, to use the same woodcuts for different texts; the etched waterfowl adorning Hamlet’s frontispiece stands as visual testament to a change in the ownership and circulation of Shakespeare’s tragedy. Stands as testament, too, to the value the play was beginning to take on, if only by small degrees: then as now, it was a play worth laying claim to, and a play worth circulating again and again.